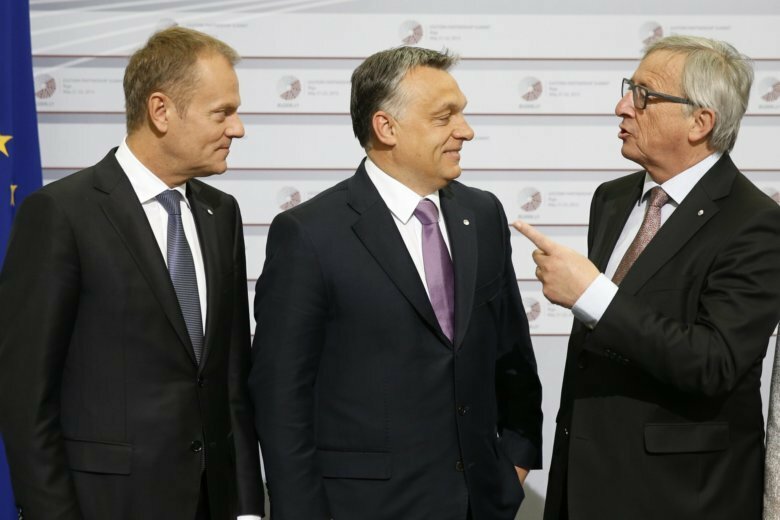 BRUSSELS (AP) — Hungary’s prime minister has apologized for calling some of his allies in the European Parliament “useful idiots,” but continues to face demands that he and his right-wing Fidesz party be expelled from the political group. Prime Minister Viktor Orban sent apologetic letters to the leaders of 13 parties belonging to the European People’s Party who have called for his ouster from the group, which has 49 parties altogether. Those wanting him ousted say Orban’s fierce anti-migrant stance does not fit with the EPP’s general centrist political bent. Beke, however, said Thursday that while he accepted the apology, Orban’s views on European values and migration still had no place in the Christian Democratic family and his party has not changed its mind on expelling Fidesz from the EPP. A decision on the expulsion is expected Wednesday at an EPP political assembly. EPP leader Manfred Weber met Tuesday with Orban in Budapest, but said the talks had not resolved the issues that could lead to the expulsion of Fidesz. Weber has also urged Orban to end an ad campaign targeting European Commission President Jean-Claude Juncker and the EU — which Fidesz said it would do — and guarantee the continued operations in Budapest of Central European University, which was founded by Hungarian-American financier George Soros. CEU is one of Hungary’s top universities, but announced last year that it would move its programs issuing U.S.-accredited diplomas to Vienna from the coming academic year after Orban refused to guarantee its full operations in Budapest, where it has been since 1993. Weber met with CEU rector and president Michael Ignatieff during his Tuesday visit to Budapest and revealed a plan involving the Technical University of Munich and German automaker BMW that could allow CEU to comply with amendments to Hungary’s law on higher education. Ignatieff hailed Weber’s initiative — “and the possibility it opens of reversing CEU’s ouster from Budapest” — with reservations. He called on Orban to make “an authoritative political commitment” and provide long-term legal assurances that would allow CEU to stay in Budapest.